Ray Carson creates glass pieces like this ferris wheel by hand in his workshop. With more than a thousand stained glass pieces, Ray Carson turned a simple hobby into a lifelong passion. When Ray Carson won an art competition in Grade 3, his prize was to go and study at the Edmonton Art Gallery – it was a little overwhelming as a 10 year old, but the passion for artistic expression never went away. Today, the longtime Sookie, spends his time creating unique and beautiful works of stained glass for private clients; from portraits, to scenery, to a moment caught in time, to random places and objects that were inspiring. Carson, 69, said he doesn’t even do it to become rich or famous, but because he wants to keep his mind busy. “I charge nowhere near what they’re worth, but I love glass. I love doing it, and it keeps me out of trouble,” Carson said, adding that he usually sells the works he finishes by word of mouth in the community. As for how he creates them, Carson said it comes from within. “Sometimes I wake up and I got it in my mind how to do it, it just comes to me,” he said, adding that it all begins with a rough sketch of what it will look like. Mind you, from paper to glass there’s a long road in-between. 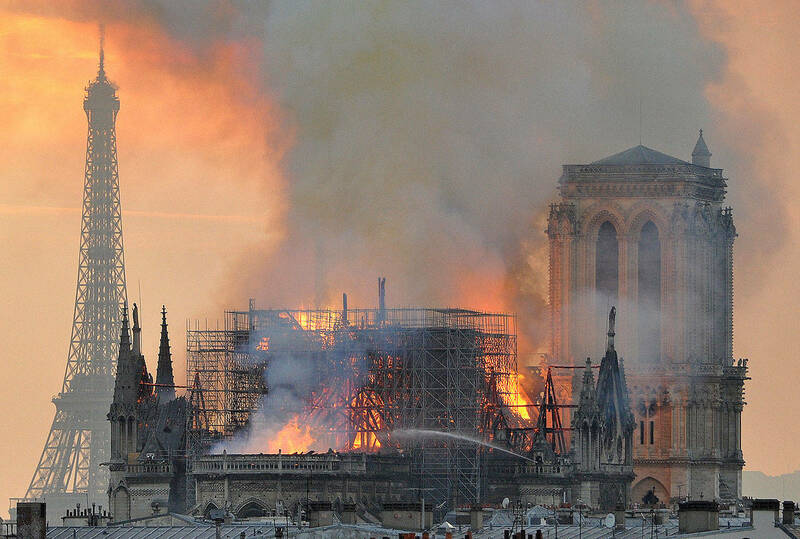 “There’s many interpretation to get from that to making it out of glass, because you gotta be able to cut the glass,” he said. 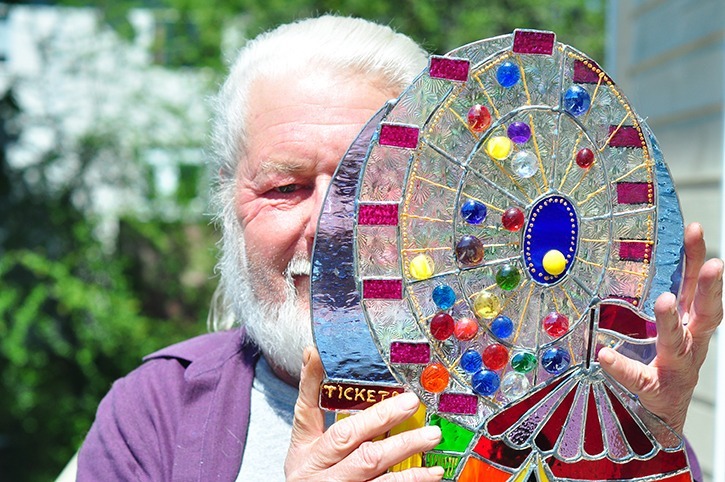 Just recently, he finished a stained glass mosaic of a Ferris wheel, complete with a ticket booth, background sky, even balloons. He said this is just one of thousands he’s done over the last 40 years, which also included numerous portraits of big music artists such as Jimmy Hendrix, Elvis, and Chuck Barrie. Another piece was made for a local woman whose father owned a dealership selling farm tractors. The piece is of two John Deere and Massey Ferguson tractors, complete with a barn and farm background. One tractor even had an exposed engine bay with all the mechanically correct details. Carson’s works can also be seen around town, as he has donated pieces to the Sooke Region Museum, the legion and seniors’ centre. He wasn’t always into stained glass though. As a youth in the early 1960s, Carson started taking guitar lessons, playing in his own garage band. For a while after that, he promoted big-rock concerts such as The Who, Led Zeppelin and Fleetwood Mac. Things changed for Carson when he spent six months in jail for forgery, though the glass was half full, as it was at this point when he met a man who did stained glass using pre-done patterns. “I said, you pay me and I’ll make original patterns for you. I figure, I could do that, because I love the colours,” he said. After leaving jail, Carson figured he’d continue his fascination with stained glass as a hobby, while picking up a job as a painter at a graphics shop, where he’d created inscriptions. Today, he works with glass that’s often discarded or recycled, with each shard serving as another piece to a single glass mosaic. He also creates thousands of hand-cut glass hearts, which he sells to a local jeweler for a dollar. Another dollar from that goes to the Sooke Crisis Centre. Some of Carson’s pieces are more special than others as well. When the Anglican Church on Murray Road burned down years ago, he went to the ruin and picked out burnt and shattered pieces of glass, which he then glued together and made it look like a crown of thorns that sat on the head of Jesus Christ. This was the key piece of the mosaic he then donated, which can be seen in the rebuilt church. With so many pieces finished to date, Carson’s modus operandi remains unchanged. Carson said he plans to get into creating more piece using pennies, so if anyone is willing to donate some, contact him at 250-642-6682.